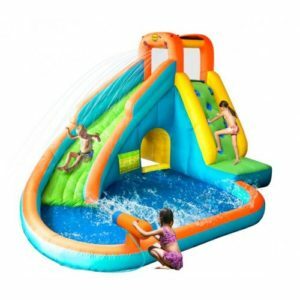 Excellent waterslide with a nice area for the kids to bounce on and a tunnel to crawl through. 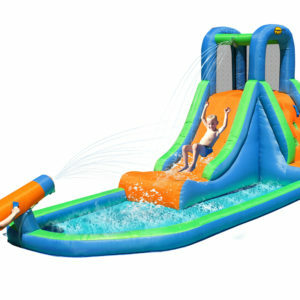 Nozzles attach to hosepipe with velcro clips for maximum sliding fun. 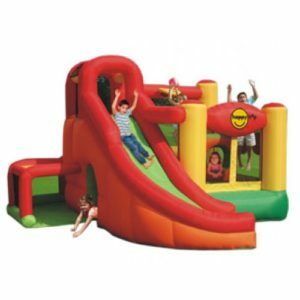 All the products come with a patch repair kit, 3 prong plug with lead, electric blower with built in noise dampener which emits less than 40 db of sound, carry bag and ground pegs to stabilise the jumping castle. 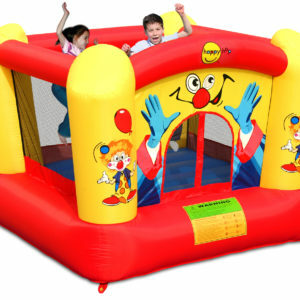 Say goodbye to the old scuffed pvc jumping castles and welcome in the latest breathable nylon material. Light weigh and easy to set up.